The Cary Rebellion is named for Thomas Cary, chief executive of North Carolina from March 1705 until October 1707 and from October 1708 until January 1711, when he was displaced by Edward Hyde. During his first term as deputy governor, Cary had been allied with the Anglican faction dominating the legislature and endeavoring to exclude dissenters (chiefly Quakers) from public office. However, after dissenters successfully appealed to the Lords Proprietors for Cary's removal in 1707, he began seeking a political alliance with dissenters and with Bath County residents who resented the legislative dominance of Albemarle leaders. Through skillful maneuvering, Cary became chief executive again late in 1708. Soon he liberalized land grant policy to favor Bath County, lowered its quitrent rate, and replaced some local officials with dissenters. 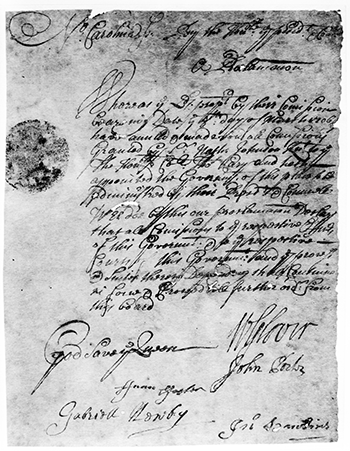 The colonial Assembly repealed all laws requiring test oaths. When Edward Hyde arrived as deputy governor early in 1711, Cary withdrew to his home in Bath County. That March, when Hyde asked the legislature to pass new laws against dissenters and urged Cary's arrest, Cary rallied his supporters-dissenters and Bath County residents-to take up arms. In May Hyde led a force of 150 men to seize Cary, but he repulsed them with artillery. In June Cary outfitted a brigantine to sail into Albemarle Sound and overthrow Hyde. After a series of indecisive engagements, Governor Alexander Spotswood of Virginia sent troops to assist Hyde, and by 17 July Cary had been forced to flee North Carolina. Captured in late July in Tidewater, Va., Cary and his lieutenants (all Bath County men but not all dissenters) were sent to England to stand trial before the Lords Proprietors. Because no one appeared to press charges, Cary was released after a year and returned to North Carolina early in 1713. He spent the rest of his life in apparent tranquility in Bath County, dying in about 1720. Sometimes portrayed as chiefly an Anglican-dissenter struggle, the Cary Rebellion was more complex than that. Of equal or greater importance were the opposition of newcomers in Bath County to the established political dominance of Albemarle men and the conflict of the mercantile interests of Indian traders with the agricultural predominance of planters. William S. Price Jr., ed., North Carolina Higher-Court Minutes, 1709-1723 (1977). Price, ed., North Carolina Higher-Court Records, 1702-1708 (1974). Bridges, Charles. 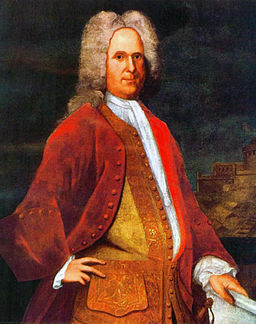 "Portrait of Alexander Spotswood (1676–1740), a British Army Colonel and Governor of Virginia." 1736. Image from Wikimedia Commons. http://commons.wikimedia.org/wiki/File:Alexander_Spotswood_by_Charles_Bridges_%28Colonial_Williamsburg_copy%29.jpg (accessed October 17, 2012). "N_84_2_21." Proclamation re. Thomas Cary, 1708; from CCR.192, Colonial Court Records, Miscellaneous papers, 1677-1775, House of Burgesses and Gov and Council folder, NC Council Minutes, 1708. State Archives of North Carolina.